ARTBA’s 8th annual “Transportation Construction Law & Regulatory Forum” was held at the ARTBA Building in Washington, D.C. Below, ARTBA President & CEO Pete Ruane spoke about the recent passage of the FAST ACT during the keynote address. Nearly 40 professionals attended the forum. 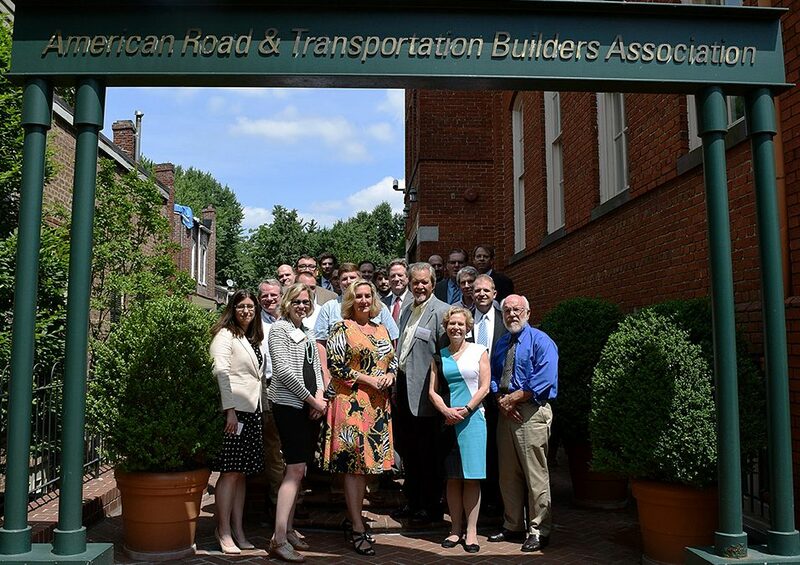 Nearly 40 professionals working in the transportation construction industry packed the ARTBA Building in Washington, D.C., this week to hear and share about the latest law and regulatory trends. ARTBA’s 8th annual “Transportation Construction Law & Regulatory Forum” offered eight insightful presentations, such as “Robots, Drones, Artificial Intelligence and the Changing Legal Landscape.” The June 1-2 forum drew lawyers, in-house counsel, contractors, designers and business owners. The two-day agenda was developed by participants of last year’s event and provided practical, real-world advice regarding existing and emerging laws and regulations that affect the transportation design and construction industry. ARTBA President & CEO Pete Ruane also discussed the recent enactment of the FAST Act surface transportation reauthorization program during the keynote address. ARTBA is actively pushing Congress to pass reauthorization bills for aviation and water infrastructure projects by the end of the year. Both pieces of legislation would affect all 50 states and the transportation construction industry as a whole. With the November elections fast approaching, however, time to get much done is quickly running out, Ruane said. Ruane also affirmed the association’s primary focus is to secure a long-term revenue solution to support future highway and public transportation investment. “When the FAST Act was passed there was no celebration on our part. It goes nowhere to solve the nation’s underlying transportation problems. The Highway Trust Fund is on fumes and the job is not done,” Ruane said. To learn more about the annual law & regulatory forum visit www.artba.org, or contact ARTBA’s Allison Klein at 202.289.4434.